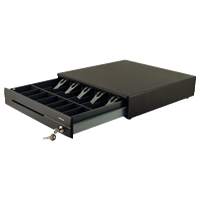 The Posiflex CR-3100 Series Cash Drawer is a smaller version of the CR- 4100 cash drawer. It is designed with no screws or bolts accessable from the outside. The 3100 has the insert with the plastic note clips. The standard drawer can be used in all normal environments where the solenoid is fired by a POS system or Printer, no matter whether it is 12V or 24V. The Posiflex drawer is designed to work in a voltage range of 10 to 30 Volt. 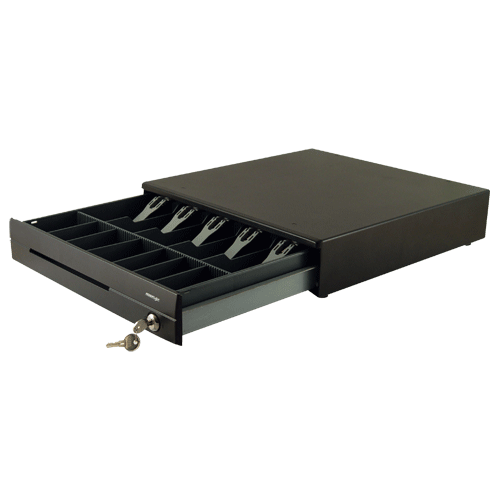 PFCR31LID POSIFLEX Lockable Lid for CR3100 Cash Drawer insert.